It was a great surprise that I was having a BeachMoney workshop in my hometown, Yokosuka! I stayed over at my parents house and went to Akehama elementary school with my moms drive. The school is located right next to Kurihama library which I used to go studying in my high school days. 60 students from 3rd grade classes participated in the workshop this time. The presentation included pictures and movies explaining the idea of BeachMoney, its history, present situation and goal. 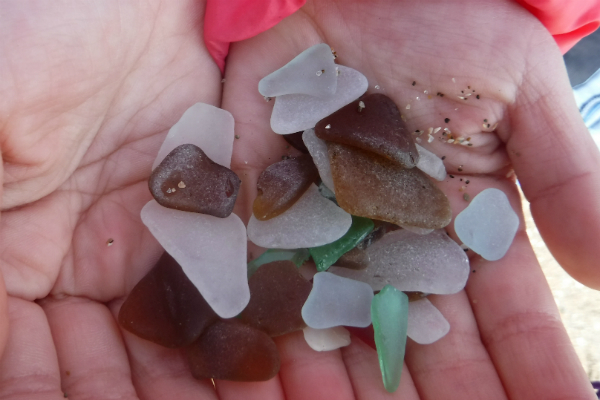 We had an active Q&A and I shared my beach glass collection at the end of the presentation. Then we went to Kurihama beach to do beach cleanup for the second half of my workshop. I was amazed by watching a couple of students already started picking up trash on the street when we get to the beach. Kids can take action before they think. We have a lot learning from them. The water was pretty clean, and we did not see much trash on the beach, either. 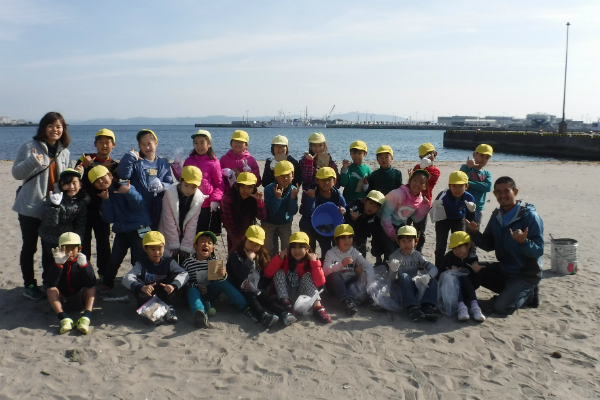 30 students did beach clean up for 30 min, and only a small plastic bag of trash and marine debris were collected. The teacher and the students had a discussion over the trash they picked up on that day. 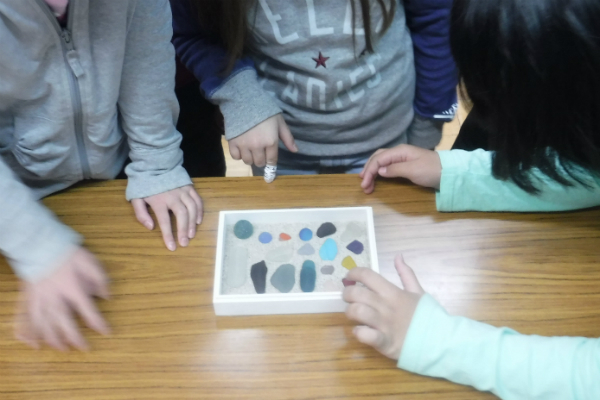 We also collected over 200 pieces of beach glass including some rare pieces such as nicely shaped pink one, dark purple one and blue flatten marble one just like ohajiki. I gave MyLittlePocket to all the participated students as a gift at the end of the workshop. 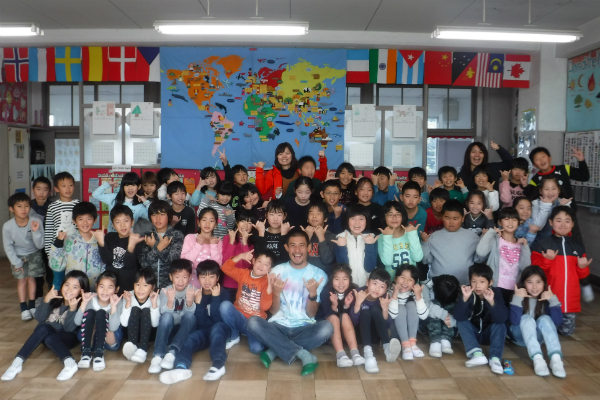 I’m so glad that I finally started giving something back to my hometown, Yokosuka. 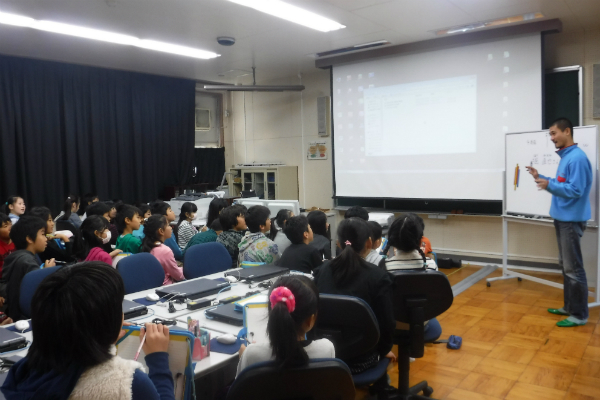 Soon I’m going to have a workshop at another school in Yokosuka. BeachMoney may be getting popular in Yokosuka!? Thank you Mr Noguch for letting me have an workshop with your amazing students. We travel for BeachMoney workshops and lectures all over the country. No fees are required although travel expenses need to be covered depending on the location. So far I do not ask for travel expenses in Shizuoka, Kanagawa and Tokyo. Please feel free to contact us for details.